How Do I Choose the Best Mini Cactus? Mini cactus plants can be ideal for growing in offices or homes, as they need little attention. Cacti offer a low-maintenance addition to your home or office, as they do well in a dry indoor environment and only need occasional watering. Many species are available that grow to just a few inches tall, making them a convenient option for windowsills, countertops, or other small spaces. Shape, spine length, and color vary and can be chosen based on preference. Varieties can be combined to produce a lovely dish garden, or chosen based on their ability to produce colorful flowers. 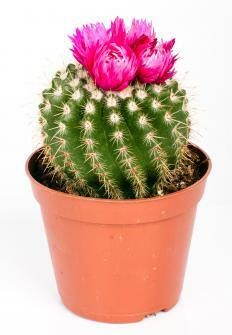 Additional caution is needed when choosing a mini cactus for a home with pets and children. A cactus is considered a succulent, which means that it is water-retaining. This is a variety of houseplant that can survive if a watering or two is forgotten. It does not need as frequent watering as other plants. Other non-cactus species including other succulents are small enough to combine with a mini cactus in a pleasing dish garden or other container. For example, a succulent variety called hens and chicks can be grown indoors, and add color such as blue-green and red-and-green stripes. Other choices include the Aeonium arboreum variety, offering burgundy additions, and the Aeonium decorum tricolor, with yellow, green, and red colors. Cacti with flowers can add additional color to your living space than one that does not. Hedgehog cacti are a type of mini cactus with short spines and the ability to produce flowers. The claret cup hedgehog has red flowers and the rainbow cacti have pink. The snowball pincushion cactus has flowers that change from cream to pink. Powder puff cacti have small white or yellow flowers, and the rose pincushion has red to purple blooms. If you share your living place with pets or children, then you know that many plants are not options due to their delicate nature and the additional dangers of when they are consumed. Cacti are an option to consider, as their spiny skin offers self-protection from curious pets. A full-sized option may be cumbersome or even dangerous if in contact with curious housemates, but a mini cactus on a countertop or other location could be a welcome addition. 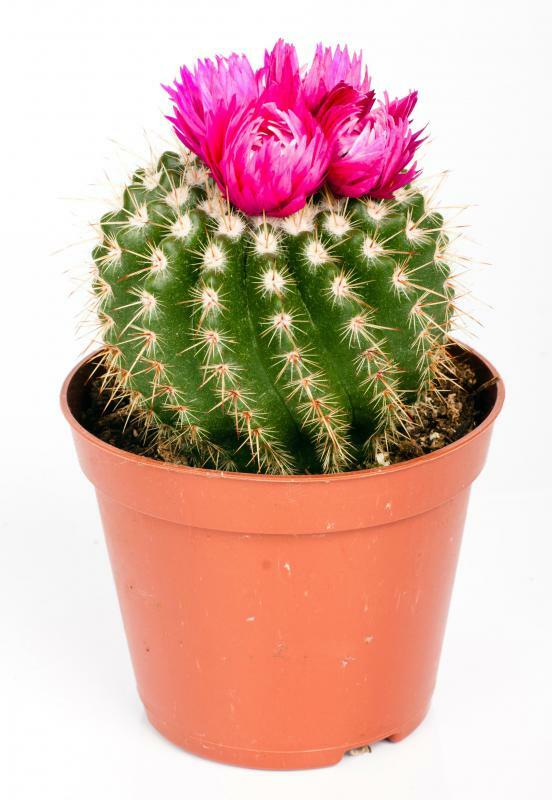 Star cacti are one variety considered safe around both pets and children. In order to enjoy your mini cactus for many years to come, you will need some accessories and caution. Too much watering is more harmful for this plant than too little, so be sure not to over-water. Some pests like spider mites and aphids are dangerous, so when choosing an insecticide, be sure to choose one labeled for use with cacti. Potting soil should also be chosen specifically for a cactus, as it needs to drain properly. How Do I Choose the Best Cactus with Flowers? How Do I Choose the Best Cactus Fertilizer? What is a Finger Cactus? What are the Best Methods for Watering Cactus? What are the Best Tips for Cactus Care?